Is Dean Smith a Hedged Bet? 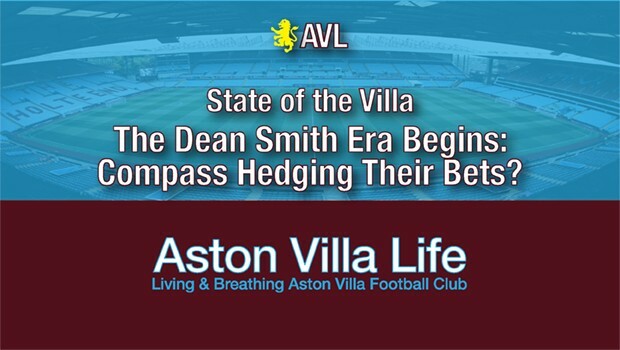 AVFC | Aston Villa Life - An Aston Villa Blog and Mobile Site for iOS and Android > Aston Villa Blog > Columns > Clark's Call > Is Dean Smith a Hedged Bet? Weeks of speculation and tabloid frenzy ended Wednesday with the appointment of Dean Smith as Steve Bruce’s successor at Aston Villa. Smith will be joined by none other than John Terry, who was seemingly part of the package for whoever we’ve been talking to. And strangely this new era begins just as we hear of the passing of Sir Doug Ellis. RIP, Doug. Smith and Terry will also be joined by Smith’s number two at Brentford, Richard O’Kelly. (No one’s quite said how that arrangement works.) If that weren’t enough, Jesus Garcia Pitarch will be Villa’s new Sporting Director. Taken together, it really comes across, initially anyway, as a bit of coup—a truly comprehensive overhaul from the Compass in a short period of time. One that seems to have been in the works for more than just the last few days, despite all the blathering in the papers. The overall reaction has been very positive, and I, for one, join in the optimism. Which isn’t to say that Smith doesn’t have a big job in front of him. Obviously it’s his first foray onto such a big stage. The pressure is immense, the expectations nothing less than promotion. He’s got some big egos to deal with. Further, the side also looks to be somewhat fractured in the dressing room, as evidenced by Scott Hogan’s broadside at the departed Bruce. One could say his comments are an underperforming player’s cheap shot. One could also say they’re a rare moment of honesty and insight behind the scenes. We can think of others like Bjarnason and Adomah perhaps having similar frustrations. Probably most interesting among Hogan’s comments were those pointing out that we didn’t work on way to play to get him the ball, and that players just received a “pull up your socks and work hard” approach to coaching. Excuses or truth? Draw your own conclusions. So Smith has work to do on all fronts. However, Smith does have some things going for him. He’s got a lot of support from the fans. He’s coached against Villa as well as Villa’s opposition, and understands exactly how to go at them. He already has a pretty good idea of what he thinks he needs to fix. He’s got a good record. And, whether he wanted it or not, he’s got John Terry to help lay down the law and perhaps solve a few defensive woes. Terry gives Smith immediate insight into the dressing room, as well as the strengths and weaknesses on the pitch. And it seems to me that Smith might very well find a bunch of players who will be more than receptive to a fresh start and a plan. And perhaps some structured training and a system. After all, Smith has shown he can craft hard-working sides who play good football and punch far above their weight. Organization, tactics, a defined and modern style of play…these are among the things many felt were lacking under Bruce. And these are some of the things Dean Smith’s sides possess. Surely Villa’s players will remember their Brentford outings. But even though I said “nothing less than promotion” as one of the expectations, I think Smith might well be a hedged bet from Compass. If Villa can’t be pushed over the line but play better and come together, Smith’s record indicates he’d be very well suited for the inevitable reconstruction of the side. If he has those assurances, then maybe it takes the pressure off and Smith is encouraged to truly go for it. Not that he wouldn’t have anyway. So, I’ll leave it there. Welcome Dean Smith. RIP Doug Ellis. Gears seem to be turning somewhere. 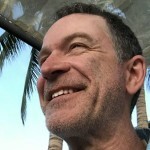 This entry was published on October 11, 2018 / John Clark. 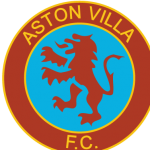 Posted in Aston Villa Blog, Clark's Call and tagged "Albert Adomah", "Aston Villa Football Club", "aston villa life", "Aston Villa", "Birkir Bjarnason", "Brentford", "Dean Smith", "Doug Ellis", "Jesus Garcia Pitarch", "John Terry", "Richard O'Kelly", "Scott Hogan", "Steve Bruce". Bookmark the permalink. Pleased To Meet You, Dean. What Happens Now? Weeks of speculation and tabloid frenzy ended Wednesday with the appointment of Dean Smith as Steve Bruce’s successor at Aston Villa. Smith will be joined by none other than John Terry, who was seemingly part of the package for whoever we've been talking to. And strangely this new era begins just as we hear of the passing of Sir Doug Ellis. RIP, Doug. All eyes will be on the players as caretaker Kevin MacDonald takes up the unenviable task of leading Aston Villa down to Millwall for the club’s first game without Steve Bruce at the helm. Stepping into a mess is not an unfamiliar spot for stalwart MacDonald, who has had seven games in charge over the years, leading Villa to a 2-2-3 record in those outings. Thanks JC – Your comments reflect my thoughts too. We have quite a shift needed at Villa from defensive play to attacking play. We have a defence that needs sorting out too. It won’t happen overnight so I’m quite prepared to wait until next season for any fireworks. If they happen this season then great. DS has mentioned 3 at the back. Yes please but not with our ageing players. Looking forward to Hogan and TA getting 20 goals each a season at this level. My greetings to the new men appointed and I wish them the very best. Sad to hear of Herbert’s passing as he was a Villa fan. But he’s had a good innings. I’ll settle right now for 94. Your ‘new era’ is more profound when you think that *all* the top appointments at Villa have been changed in the last 3 months!!!! Such a huge turnaround in so short a period has not taken place since 1893, and this year’s turnaround is more significant. I have to say that Dean Smith’s appointment is probably the best. I hoped for Brendan Rogers as he had experience of bringing Swansea up from the Championship in a well-organised way, but I don’t see why Smith can’t achieve the same thing and probably more given the facilities and support available at VP. Yes, critics of Bruce will be much happier now that this appointment has taken place, but I have little reservation either. It’s really a question of how he and Terry get on working together – they seem to have been thrown at one another! They apparently wanted their own person instead, which stopped the deals.. Thanks again JC. Going on what JL and IanG it does seem that Terry and Smith were “thrown at one another.” I do hope they can get on for the sake of Villa. I feel that Hogan would best do his talking on the pitch. That’s the best way for a player to respond. I hope he scores 25 goals for Villa this season. If he’s played and doesn’t deliver, guess it’s egg on his face. Is he that good that the whole team should be structured around him? I think JL is right to emphasise the upheaval that is still in motion at Villa. I think most of us, as Plug kinda pointed out, understand that. Be nice to see some “fireworks” before Christmas. Ian G – the Mirror??? Nobody else thought of that one; I wonder how many extra papers they sold on that ‘fake news’. JC – thanks for the new post; you hit the nail on the head re Hogan. There have been many comments on AVL about the lack of service for, not only him but, other strikers we have introduced . It showed a lack of tactical perception on the part of Steve Bruce that was defended by his record. I saw Tammy getting frustrtaed by the lack of service for his perceptive runs almost as soon as he stepped on the pitch with Villa. Well, we have all seen Brentford play and we all know the attitude of Terry so we expect some changes, hopefuly sooner rather than later but not necessarily if long term. Sorry to hear about Doug Ellis; I spoke to hie a while ago before I emigrated as he started the Sutton Fun Run. I was running in a Villa shrt and he made a point of chatting as he made his way to the start. A real gent and die hard Villa fan; not liked by all but stuck to his priniples. Looking forward to a new beginning. You mean you still buy actual papers? No one has thought of it YET, & it certainly isn’t 100% clear that it is fake news either YET, although as it is now the next day, it is 50/50 that it might be just an opinion piece. My opinion of the Mirror is not high either, but maybe for different reasons to you, judging by your reaction. But the premise has potential to be true or not, & very indicative of the modern era, which was the main point. The new Little & Large, or Hare & Tortoise? McCormack partnered by Usain Bolt in the Mariners. It’s been high profile so plenty will be speculated. Dr xia tweeted good luck Jt you’ll make a great manager one day and unfinished business? Or something to that effect a bit weird. Jt himself tweeted he is definitely the assistant. Who knows how Jt got that through mate his knowledge of players and the need to go up, he probably worked the deal to his benefit. Smith is unlikely to be asked twice to manage villa so I hope it works out at least he was brave Enough to take it. “He gave out this public image of Deadly Doug, sacking managers and being this hard man, but behind closed doors he was a very caring individual,” explains Stride. “It’s public knowledge that three years ago my son Matthew had a brain tumour. “The QE hospital needed a piece of piece of vital equipment, and I just happened to mention it to Doug when I saw him at a match. “He said ‘How much do they need?’ and wrote a cheque for £100,000 there and then. Stride himself was on the receiving end of the Villa owner’s no nonsense approach during their early days together at the club. The boyhood Villa fan quickly learned how to get on with Ellis, happily going about his job in the background while Doug seized the limelight. “When I first started working at the club in 1972 Doug was chairman but not executive chairman and he used to flit in and out,” he recalled. “I remember when he came back in 1982, he came into my office and said ‘I just want you to know that when the board voted for you to be club secretary in 1979, I voted against it. As far as I’m concerned you’re still on trial’. “I’m still waiting for him to tell me I’m not still on trial! “I worked very closely with him for 30 years and people used to say to me ‘How did you last that long with him?’. “It’s no secret he had an inflated ego and wanted to be the public face of Aston Villa. That suited me fine because the last thing I wanted was the attention. The pair’s conflicting thoughts on being in the spotlight meant Stride refused to drive Ellis’ Rolls Royce, with the famous AV1 number-plate. “I’ve got enough stories about him to fill a book, I’ve travelled the world with him,” smiles Stride. These insinuations from players are to be expected though I don’t deny they’re not to be ignored. But Bruce was of a kind. He had a formula of his own, it had worked before and he stuck to it, it would seem. Good for football? Not too good I agree, but getting promotion was the Doc’s pragmatic want, and thus he appointed someone he thought would fit his gamble. It nearly worked. 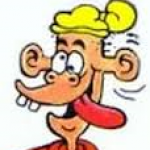 But let’s move on… I am a bit worried about the Smith/Terry pairsome, especially as one is a Brummie and the other souf of lonon, but on the other hand their physical appearances seem to show compatibility. They might well become good drinking partners. A very negative and cynical comment John. What being born in Barking has to do with JT’s capabiliies as a manager I don’t know – Res ipsa loquitur. I thought you were a commentator who evaluated the facts and gave a considered comment but this seems to me a very negative comment; unfortunately a lot of your comments recently have been of that ilk. I don’t know why because it seems out of character; is it that your defence of Bruce has put you on the defensive against any other views posted by contributors to this page? I hope you don’t react as you have in the past and go into hibernation; your coments are welcome but you must expect others’ viewpoints. That is what this site is about. We all want the best outcome of this managerial appointment and mostly there have been positive comments. Good innings indeed. He did it his way, that’s for sure. It is profound change all round, though given the merry-go-round of recent years, it’s saying something for this to be the biggest swap-out in well over a century. Firstly Clive, I am not a cynic and after all these years on AVL you should know that I just speak straight and don’t always find time to see whether what I have written is PC. There in fact is a *joke* in there because of the legendary regard that Brums have for Londoners. But Smith in fact has obviously been in London for quite a time and for him the issue doesn’t exist. But I know some Brummies for whom it is an issue. I spent 32 years so I’m definitely not one of that view. As a spiritually/truth-orientated person I don’t deal in cynicism, Clive. I beg your pardon? Do I ever slam you? What I have I done to you? I think you had better go through and read my comments again and evaluate them properly before you pass such judgment. I really am surprised at you. It is a funny one, and one that I didn’t really think had legs. Until it happened, and the “Terry is part of the deal” seemed all too true. Apparently Dean Smith either wanted the job so much he didn’t care, or he figures why not mentor JT and accept that he might be useful. Not often you get one of the best players in a generation to give you a hand, and one that knows the side. As to playthings…I see what you mean, but I think this has a bit more to it. Compass, or one of directions, must either see Terry as an eventual successor, or as a necessary bit of continuity. If, as we’ve generally assumed, he played a big role off the pitch, they may well have felt that in order to boost the new man as much as possible, JT would add credibility and reinforce personal accountability to the players. And perhaps that he just might help keep the spotlight from overwhelming Smith. Anyway, we’ll see if ends up making sense. I don’t get the sense that JT will undermine him. There are the odd one or two people who are careful to evaluate before we just give a bland ‘yes’ vote, Clive. Particularly as Bruce was so easily torn apart from all and sundry. Did you accuse anyone of being cynical towards Bruce? Not on your life. I’ve already said that I’m fairly happy with this appointment so why do you choose to find something negative in what I say? That’s a pretty fair statement John. Are you reading this Clive? It worries me a tad (and now I’me being serious) that there might be concern on Smith’s part that his level of playing attainment was a lot short of Terry’s (and hence lacks experience in the top echelon) but Smith strikes me as being big enough to cope with that. I think Hogan would prefer to do his talking on the pitch, as he has done elsewhere. Which is where the frustration comes in. Generally I prefer that dirty laundry stays inside, but as we’ve struggled to weigh up Bruce’s tenure, comments from the on-loan youngsters, Ciaran Clark, and now Hogan, have all given us some context to work with, and point to some of what we’ve suspected but could never confirm. I don’t know how many times I’ve asked, as have many others, why we don’t seem to have spent any time working on how to play to strikers on the ground given that almost every one we’ve brought in thrives on that kind of service. When it comes to ‘man management’, one also has wondered how players feel being shunted aside when they’re clearly more fit for purpose than the player getting their spot. I’m Adomah or Green watching Elmo play wing. I’m Bjarnason watching Whelan or Jedi. I’m El Ghazi wondering why I was brought in. I’m anyone wondering why we let Elphick go when I’m looking at the shambles at the back and Tuanzebe playing RB when we’ve had several there that can do the job and never got the run of games Jedi has. Adomah was willing to leave in order to play, as was Hogan apparently, but weren’t allowed to. So, like I say, not generally a fan of Hogan’s approach. But, what he’s saying seems to fit with other things we’ve seen. What we didn’t know on the outside was that the players were incensed at being played in a way that almost guaranteed failure, so much so that one left the locker room and was ready to quit at halftime. The coach, who was the former head coach’s brother, was thankfully fired a day later. Wrong man, wrong place. Indeed. He was also plainly vexed that when he went to press the CB just outside the box, the outlet FB was completely unbothered, making Tammy’s exertions pointless. Players not playing to plan? No plan? Abraham was clearly expecting what’s become a given at virtually any side playing to win: Lose the ball, win it back as soon as possible. ive been reading about the new sporting director. Yes, seems like Smith is enough of his own man to take it in stride. And Dr. Tony should definitely stay off twitter and keep his mouth shut. We were all backing him, but he really did almost ruin the club. Tweeting from a minority position of irrelevance is just silly. Likewise. Compass are serious and they can afford to make mistakes (ie, payoffs, etc.). So, they’re willing and able to take risks. Smith is definitely of a piece with the model of sustainability they’ve spoken about. Pitarch clearly speaks of ambition and the necessity to look far and wide for talent. And like Purslow, he’s been part of very successful cultures. It’s the kind of “bone graft” Villa need. And it shows that serious people are willing to be convinced by Compass. Yes his CV is definitely better than what we’ve had for the past few years. The interesting thing for me is that he’s tasked with bringing a club identity in player additions & the style of play across the board, which is good news as the last go at it didn’t work too well. This also has interesting hints of change via different players, not just through coaching, which is a lot more coherent, which might surprise us when the players we already have start playing more towards their potential. Woah, John, Ciaran Clark went to Newcastle before Bruce arrived, so it seems to me there’s been an endemic situation atVP and makes me wonder whether KMac is doing all what he should have doen with the U-23s, but on the other hand we seem his charges doing well – at their level anyway. Also on the topic of players being “shunted aside”, Bjarnason as a match starter rarely seems to do what he promises when he comes on as a sub. I’m not sure he’s a very good signing, but the question therefore would be why did Bruce sign he, Lansbury and Hourihane in one splurt. Yes, there are questions to be asked about what’s happened at VP coaching-wise, but, really, isn’t it all down to Xia’s gamble of wanting someone in to get promo pdq … everything else seemed secondary. So Bruce’s tenure is down to Xia, surely, and we just have to move on. I just saw the need to take the pressure off Bruce as much as possible, but now he’s gone the past is the past as I see it. Now we have seen all the managment re-cycled and taking into account Smith’s approach I’d say we have something better to look forward to. Perhaps Smith can take comfort in the fact that he’s been managing teams for a few years and has one up on Terry in that regard, I wouldn’t regard Terry’s playing career at Chelsea as an impediment to building a mgmt team, he has to manage his coaches and O’Kelly at Brentford, I’d assume he’ll take the same approach with Terry. Absolutely right about Ciaran…I hesitated to mention him because of timelines, but the point was that, yes, it points to an ongoing lack of player development and coaching. With Bjarnason, I respectfully have to disagree wholeheartedly. Having watched him for a while now, I’m of the opinion that he does better the more he plays. And even at 50%, he’s faster, more athletic, gets up and down the pitch, and injects more energy than either Whelan or Jedi. As you say, we’ve just seemingly stockpiled players at certain positions with no regard for how to play them. This has been a large part of the problem, and not just with Bruce. Yet, even when out of favor, players who want to play aren’t being allowed to leave. Can’t keep a dressing room happy trying to have it both ways. You have to commit, not keep throwing a player in for one game then wondering why he didn’t have more of an impact, or why the team seemed even less cohesive with him in. Bree, for example, might have a few rough games as he gets going. But you have to have the courage to give him the run he needs so you can know whether he’ll make the game. Likewise Tuanzebe. We regularly play teams with 19yo FBs who might get skinned a time or two early on, but grow into the game, and play the next week and the week after. The same with young CBs who will get caught out, but are also faster, stronger, bigger, and more athletic than what we’ve been fielding. As I’m fond of saying, these players have more upside. I would agree that Xia’s remit did put Bruce under pressure, and Bruce reverted to players he knew (and perhaps didn’t have to actually coach, as in the way he talks about Chester). Going into this season, he sounded like he’d learned from the experience and the evidence on the pitch, but we still saw the same tendencies. The pressure was still there, yes, but the message from above was clear, and he couldn’t help but persist. That early run was the perfect time to move away from the old guard. Will be more than interesting to see how Smith approaches the same issues. I think DS and JT will get along fine. One of their first tasks is to get the players properly fit so that they can manage more than 10 minutes of pressure in a game. We’ve seen so many other Championship sides doing it including Brentford. Can’t wait for the next game. Win or lose, if I see a difference in emphasis I’ll be delighted. One thing DS may find difficult is our big squad. He’s been used to handling smaller numbers which makes keeping them all happy much easier. Mourinho once mentioned he hated large squads for that very reason. Bjamson to me looks good but like Hogan, landsbury just hasn’t had a good run in the team. They need a fair chance. lots of reviews on how smith coaches and likes his teams to play. think the players are going to be in for a bit of a shock! Well, we obviously have a different p.o.v. on certain players. The Jedi (in front of defence) is a big plus for me because of his size, heading ability and general strength. Whelan’s weakness is probably that he’s slow on the turn, but otherwise I like him. Unfortunately, though, his best game was probably that in the pre-season match v Watford last year. He sprayed some wonderful passes that day, but I’ve not seen a lot of that standard from him since. I generally agree with your comments about giving players a chance and that should always be the philosophy, but whether it was Bruce feeling pressured to get a quick promo…? That matter that Hogan complained of may well have been to do with the fact that he needed a big enough squad and that Hogan would come in when fit. He only came back 2 games ago so for Hogan to be complaining seems a bit ott to me. Agreed, Jedi’s big and wins more than his share of aerial duels. Sadly, he’s well off the pace, doesn’t have much range, can’t pass more than 10-15 yards (but that doesn’t stop him trying), doesn’t turn well, would never have scored the header Bjarnason did a couple weeks back, and is part of the reason we can’t exert pressure and have to sit further back in defense. Like Whelan, and JT, too, he looks to make up for these deficiencies with experience and reading the game well. Which they all do (read the game well). Neither are entirely useless. But both are past their sell-bys and shouldn’t be starters (though I can see a case for Jedi when we play a dour set-piece team). It sounds harsh…I like them both. But they’re part of what keeps our team slower and unable to move up and down as a unit. Hogan? Well, he says he’s been fit for five games now, was it? Maybe I misread. I’m not saying he should start over Abraham, but he does add more energy and work than Kodjia (atm, at least). Hogan’s basically saying, “you don’t know how to play to me, aren’t trying to, aren’t playing me when fit, which means I’ll never be effective here…so why are you keeping me?” Which is fair enough. Maybe it should be kept private, but he wants to play, and we’re effectively stalling his career to hold onto him as insurance and he obviously wants the supporters and other teams to know he’s not been playing because he’s slacking or has a bad attitude. He is getting paid well, certainly, but…I have to respect the fact he isn’t just content to draw a wage and not play. And I should also have said he certainly wants Dean Smith to know he wants to play. I think the coaching problems are more a case of lack of continuity and lack of faith in recent years. Ron Saunders had no such problem did he. We need to play a style that can be replicated throughout the club. Villa’s 1st team is rarely reflected in the youth teams, they play a completely different style regardless of system ie 442 etc. For me it spoke volumes when last season Hogan had a run out in the cup with Ohare, Clark and Doyle Hayes. Hogan as well as Adomah looked in tune with the u23’s and he scored a couple. Put in the 1st team his runs were ignored and he was hammered for not being 6’4″ as the ball was lofted in the air to him. Bruce does not seem to coach players full stop, never heard a word from his or anyone’s mouth that says he does or can, he mostly sounded clueless on the subject and spoke in generalities, I’m not being mean its an observation of his time hear and elsewhere. Where are all the players he has brought through? as he did with many of his buys he didn’t not know how to use them to the best of their abilities. He might see the odd Gem but he had no idea of how to polish them nor arrange them well enough. Smith puts the players attitude and willingness to learn above any other attribute, even talent/ability. Also said he could not care less about Budgets. Very refreshing to here instead of “managers always want more players” no Steve they don’t they want the right players. JC- I think Hogans honest appraisal is refreshing instead of the media’s pro Bruce rhetoric, there are indeed two sides to every story. On thor, when he came in he was pushed into left wing then left back, has never had a decent 10 game run in his preferred position. I think all of our players have had a stab at DM or Fullback even the keepers. Worth a listen, an interview with a Brentford fan, says he brought his own style to Brentford from Walsall. I think as we never beat his Brentford side that he either knows us quite well or new Bruce quite well. Interesting how many fans are commenting on what a big difference Dean’s appointment will make to Lansbury, Bree , Hogan and Bjarnason, and that they play the type of football that he encourages, making it a great new start for these players. I see the Whelan, Jedinak, playing a much lesser role in the future, and they will only be on the subs bench, and possibly for that matter, Hutton, El Mohamady and Taylor too, although Hutton may still feature for a little longer. Jacob Bedeau could be given a chance to shine now, having given some fine displays in the under 23’s and is now 18, given Terry is back to coach him too. I can see Dean using Nyland, Bree, Tuanzebe, Chester, Hutton, Mcginn, Bjarnason, Lansbury, Grealish, Hogan, Abraham, in the main with El Gazhi, Bolasie, Adomah and Kodjia among those fighting to win their place. then of course there is still RHM and Keinan Davis , so there is plenty of immediate competition until January for our forwards. The hardest task may well be for Terry, unless he actually plays in making the defence solid once more, and I am sure that he and Dean will make a great partnership in pulling it together. At the moment, because of loans this must be one of the smallest quads Villa has had for some time. Sorry to Conor Hourihane……I should get a proof reader to check me out….of course you should be included..!!! Upper Trinity now open for the Swansea game…!! !….It really will be a full house..!!! This really is the crux. As JL points out, the immediate promotion remit did create pressure. However, the response to the pressure didn’t turn out to be ideal. In Bruce’s case, if he’s not a development/training guy, then he’d naturally rely on players he’d worked with, and figure they just knew what to do in his style of play. And the style of play…well, he’s tried to force something on a squad suited for something different, to my mind. It can be a winning strategy, but you’ve got to have the right set of players. This is why I get a bit worked up whenever I read a pundit saying, “He’s been there, done that, crazy to think he wouldn’t get them up,” when we’ve been getting outplayed by teams full of unknown kids supplemented by a key loan or two and a veteran. These sides all have a system, work relentlessly, and play to their strengths. Ping the ball all over. At least against us. Seem to slot guys in with no drop-off. They simply get more for less. It’s not enough to say “that’s the Championship for you.” What that really means is that there’s a lot of low-budget teams doing the most with what they’ve got, and a team with greater talent not doing the most with what it’s got. If we played just as hard and clever, we should walk it. As we’ve seen others do. Terry…what I hope he does is spend hours a day right next to Tuanzebe telling him everything he knows and actually coaching him. Terry knows Chester, obviously. Between the two of them, they ought to be able to bring along the back line. I can see Hutton staying in, but I’d have him in for Taylor, and let Bree play RB. Coach him up. If JT can’t give him confidence, tips and tricks, no one can. And to be honest, if he’s fit, I’d get Hogan out there with Abraham when we’re playing two. Kodjia has been a very dangerous player. It’s hard to ignore him. But he’s been out, doesn’t seem right, his touch is more often woeful than not these days, tries to do too much, doesn’t have pace on the break, and doesn’t really do much when we don’t have the ball. I’d love to have him out there in full pomp, but he’s just not got it right now, and trying to play him through it hasn’t yielded any consistent contribution. Yes, agreed that Bruce is not the scientific coaching type, but he probably manages like Joe Mercer – took individuals aside to develop their weaker aspects. Bruce’s style is just different – yes, probably more old-fashioned – but I suspect a lot of his approach is based on SAF’s style. No he didn’t do too badly, did he?! Yes, of course Hogan is going to get the spotlight having been got at to say something publicly. Bruce, meanwhile, thinks it’s proper just to be quiet. Good for Bruce. Hogan was certainly not available 5 games ago. The week after he was pronounced fit he was seen on the sub’s bench – 2 games ago. JL- Hogan was training ten weeks ago, he says he’s been ready for weeks why doubt him? Bruce wont say anything maybe as he has it in his contract thats fairly normal these days. As for his win Rate? Rafa’s win rate at Newcastle is still better than that and they hardly win in the prem. His win rate surely should of been way higher with the quality we have? and if it had been he may of still been here. Bruce is nothing like SAF nor is his style they are poles apart? Hogan mentioned that he was told we are going to play different this season, more to his liking I presume, might be why we were so bad eh? he strayed from his comfort zone. Dean Smith was the Head coach at Brentford, Bruce is a Manager there is a vast difference, Luckily Dean Smith is also well liked too. I don’t necessarily think the manager needs to be a great ‘coach’. He just needs to hire great coaches. It simply seems to be the case coming from a lot of sources much closer to the action that players feel they haven’t been properly coached. As MK says, sounds like it’s been going on for a while, so I don’t lay it solely at Bruce’s feet. But the game has changed…coaching, training techniques, strength, diet, recovery. For example, we wonder why Villa can’t pressure consistently. Is this fitness, direction, lazy players? I’m guessing we’ll get some indications in coming weeks. I don’t think Smith would’ve taken the job if he didn’t think there was room for improvement. We’ll see if he can get it. He certainly coached their weaker aspects, very successfully! Yes, he was *in* training 10 weeks ago, but that did not make him immediately match fit – and that’s what Bruce told us … that he was not match fit until a couple of games ago. I don’t know why we’re making an argument out of this. Just because Hogan says one thing it doesn’t mean to say it’s all true, and it’s the manager that has to be satisfied that he’s OK or not. I’m not saying that what Bruce indicated was 100% right either. It’d just that – as you yourself said – there’s 2 sides to every story. And we can only go by what is said, not knowing what is what. The problem that the new mgmt team will have is lack of quality. Last week’ds defence of Bree, Hutton, Tuanzebe, Taylor…you cant put in what god left out. The midfield isn’t too much better, which leads to issues in front of and behind them. My take: Two sides, split the difference—he was match-fit for 3.5 weeks. Rather Solomonic, don’t you think? I’m just looking for progression under Smith, that was lacking under Bruce. The recruitment and youth development needs to improve dramatically. Despite all the calls to play various reserve team players I don’t believe Bruce was so stupid that he sent people out on Saturday who were worse than the reserved…Green, Hepburn Murphy et al…they were all utter lightweights when I saw them play. Bruce did tinker stupidly with the first team squad. What state is the club in when Jedinak is considered the best choice for CB…I would put the coach driver ahead of that incompetent old fart every time. Hogan…Bruce burned a fortune on him, but I was never impressed with him…one dimensional player that just tried to run faster than the defender and often couldn’t. All the most successful teams that Vills have had played with a good big target man. Abraham looks excellent; Kodjia is woeful this season in his general play…he would be crucified in the PL. Bruce has left a random jumble of players and spent a fortune overall. When he breaks his silence he’ll no doubt bleat about restrictions but how much have all the dozen teams above Villa spent in comparison? Excellent comments on here now. JL – I wasn’t trying to create an ‘atmosphere’ on here with you – we just have different opinions and I respect you have different ones from me. I feel like an ‘agent provocateur’ as every criticism unleashes a deluge of reaction. As you say Bruce has gone so put it to bed please. To use your words let’s give Smith a month and then see what transpires before we start toget agitated. Let’s set the stall straight. In the case of the fracas (!) you refer to, you frankly misunderstood me. It wasn’t a case of a different opinion in that instance. I was accused of something that was misinterpreted. But it’s easily done on a blog so let’s put it aside. Here we go again! 😉 Who is getting “agitated”? I’m perfectly at ease, thanks! OK, that’s your take John. But according to Bruce he wasn’t fit enough until shortly before he put him on the bench. Clive was asking that we put the subject of Bruce to bed and I frankly don’t see any profit in going into this. JL- Or as Hogan stated Bruce brought in Abraham and effectively blocked his return and we already Know he preferred Kodjia and doesn’t play to Hogans strengths after making him Stay . For me I would just say “so what?”. It’s the manager’s decision and Hogan just had to accept it. I keep on saying, we don’t know the whole story or what went on in Bruce’s head on this issue. I’ve already said that maybe Bruce just wanted Hogan on standby and perhaps used any tactic to keep it like that. That was Bruce’s affair i.m.o. – he was the manager and we were not in his shoes. Spud’s gone and the debate about him rages on! He certainly left an impression on fans one way or the other. Coming back to JC’s headline surmising about a hedged bet, I can certainly see DS and JT working well together. If things don’t work out over time, Compass have the option of promoting JT always assuming that Villa don’t blaze upwards and Chelsea coming knocking for him. PW- I don’t think the youth have ever been given a platform to perform, its always last resort save the day stuff, ten mins at the end of a game we are losing or some jumbled second team. Worst of all is the difference in team styles they walk into. Its rather unfair to throw them on in hope they will change the course of a game when their elders are playing tripe. It will take a manager to get some balance back before we see anything hope thats Smith. JL- Its hogans whole story and having heard Bruces he seems he wanted Hogan there in case he couldn’t get Tammy or another. Yes Bruce had little option at that time but clearly Hogan had had enough. It does raise the other question why let 4 defenders go out then? other than he ballsed the transfer window up. Bruce has a short shelf life and we are seeing why, that happy camp aint so happy. On the face of it , Smith looks like the right decision , and he certainly ticks all the boxes for me which doesn’t guarantee success but my first wish is a culture change at the club and how we play football . The rest will follow on automatically in time . I feel happy and hopeful about my club today and I’d like to wish Dean Smith the very best of good luck and success. Finally , I notice from previous posts JL , that your campaign for the beatification of Steve Bruce is still going strong . I’m guessing your taking the martyrdom route because i doubt you’ll have many miracles to illustrate. Know what you’re saying about JT situation unless he plays. Odd one and certainly not one smith asked for? But who knows. “He was great last year,” said Hogan. There’s a few weird issues as I & others have already posted. As long as it only affects our progress positively as it all comes to light, it might not be too much of an issue. I notice Davies broke down again & has had another op, also some of the kids on loan will be kicking themselves for being on loan for the whole season. IanG- yep the Terry things a Puzzle, is it long or short term thinking or a bit of both? I hope its both as in about this season and promotion and about him having the chance to learn from Smith not overshadow ( although I don’t think Smith would allow that). The more I read on Smith the more I like, He spent his playing career at CB which isn’t reflected in his style you’d think but Brentford are organised. O’kelly was a Villa U18 coach in the early 2000’s, Think these two may be a bit clough /taylor ( we can hope) Okelly was a striker. Lets hope JT fits in and doesn’t disrupt. The lad that trained Jack in the Gym has been told by Bruce he wants him to follow him too when he gets his next job but he’s been at Villa since a kid and barring a huge pay offer no chance. Gardner texted him when he found out he was off to Brum saying “guess where I’m going Lol”. Says he’s been surprised by the warmth of support for him from the club and fans. Damn Shame. Clark has been saying he hopes he can catch the new managers eye when he gets back, Doing well at Port Vale. It was a joke…lighten up. IanG- You mentioning Davis being injured still jogged my memory, the Wolves fan I chatted with the other day said Injuries at Wolves have dropped drastically since Nuno turned up. He has brought in many up to date methods of training but I’d guess playing better football with freedom to express yourself produces less contact and less tension. Forgive me if I didn’t read your humour, but that feller Clive was gnawing at my ankles! … I must wear shin pads. I think your observations in many respects (injury patterns etc) are very astute, but I still say that Bruce came in to suit Xia’s objectives, so anything untoward that’s occurred to my mind is down to the Doc. The buck should stop there as I see it. Xia’s clearly not attuned to the fact that football business does not operate in the same ways as other businesses he’s been used to. You need plus4’s for an ankle biter. I’d better carry a golfing iron as well, IanG! Jl- I’d agree that the doc should of taken more notice of the squad we had and found a less all or nothing manager ( as in 180 from rdm) he was advised by round and maybe Wayne’s and did show he had reservations with his early comment about Bruce being open to new ideas. Bruce like it or not carries the can for the team and performances end off and that’s why he’s gone. He could of got no chance, he had one and fluffed it. I’m afraid your indictment of Bruce does not totally stack up. The sacking of a manager is all about results not how he did things. He was not at all far away – and as I’ve said before if those chances had been taken in those first few games he’d still be here now because we’d be lying in the top 4 (or higher) in the division. At that juncture I’m not going to mention Bruce again. The truth stands by itself – it doesn’t need on-going justification. If Derby had better footballers than those who amassed 11points, they’d still be in the PL. If only we didn’t have a keeper who makes a mistake every game, if only we could score more goals. If only we had a good midfield. The point is that there are teams in the division who can, across a period of games that eliminates bad luck as a factor, perform better than Villa. Do you actually watch the games and conclude that we outplayed the opposition and didn’t make lots of mistakes ? JL- By your logic so would RDM. JL- To add how a manager does things affects results or why have a manager? not at all far away? he was sacked 1/4 way through the Season after no wins in 10 after being embarrassed at home to the bottom club. Are results just about chucking 11 men on the pitch and hoping? the evidence is overwhelming, we could if only until the end of time. The most embarrassing thing is he sought conflict with the fans as they were clearly to thick. Agreed mate; remember the days of Total Football coached into Dutch youngsters from the age of 7 upwards. Any player at Ajax could slot straight into the team. To have the youth team playing a diferent system to the first team reduces the opportunities for them to step up. On Twitter today AV asked ‘What would Dean Smith say to the players?’ My response was time to earn your money and my job is to give you the opportunity. Of course managers affect the way things go. I didn’t say not. But (as usual) you miss my point. The act is that Villa should have won more matches this season as they (1) had more possession in each match (average 54%) and (2) because they had more shots than the opposition but were more off-target than the opposition. Now I say the quality of our players should have seen more hit the back of the net instead of going wide, and hence more wins. That’s basics for the players to put right. They shouldn’t need a coach to be constantly breathing down their necks telling them (e.g.) how to shoot. Of course I don’t. Why would a Villa supporter want to watch Villa matches? On a previous thread I reported my stats analysis of Villa’s first 10 league matches this season (based on BBC stats) and proved that Villa should have done better in terms of points. Wayward shooting was the main reason Villa didn’t get ’em. Don’t you remember the Reading and Brentford home matches (for example) when we were the much better side yet could only get draws? It was like that in other matches too. Jl the point wasn’t missed at all as I said it was the same under Rdm missed chances etc. He didn’t have 102 games to get it right though. Sadly the point you miss or refuse to see is how we play and are coached effects quality of scoring opportunities. Rubbish. Clearly you have never read my posts properly. I have *never* been in denial about the “how we play” issue. I look forward to Smith’s reign as I’m sure we’re going to see improvement in that respect – but the point of the period under [he who shall be nameless] is that he was put there to do the job as appointed – he appears not to have been directed to look at quality of playing and was appointed for his pomotion achievements and general ability to manage (not coach) it would seem. But in respect of your last few words, I have seen so many shots go wide when there was plenty of time to at least hit the target. That’s more of a player issue – he shouldn’t need coaching in that department when part of that player’s reputation is to do with his scoring capability. You keep on going on about coaching when a lot of the requirement is built into the player himself – to take responsibility. The manager can’t do everything – especially after the kick-off and before the end of the game. The problem with stats is that they generally give a lopsided viewpoint, because they start with the premise that everything can be explained by stats. I rarely take heed of stats for the very reason you state. But in the situation I quote they can – in my opinion – be quite legitimately be used. NOT to say everything can be understood by those stats, but to simply make it clear that despite the mount of ball possession *and* number of shots we could and should simply have produced better results. That’s all I was seeking to highlight. We were so close to winning another 3 or 4 matches of those opening 10 and which would have seen us in the top couple of the division. Now if we had won those matches then undoubtedly we’d still be having Bruce in charge and people on AVL would not (still) be happy, so not winning them has proved to be a blessing for AVL-ers. But the stats do indicate that it’s the players that failed and caused the sacking *if* the criteria was not to include quality of football. Which it didn’t. As the upper Trinity Road is open for the Swansea game, Villa are expecting a big gate. Due solely to the lack of SB and the promise of better football I would wager. A Brummie and Villa fan in charge for his first game. Only Ron Atkinson had those qualifications with the addition that he was actually on Villa’s books and the exception that Atkinson was actually born in Liverpool. Jl- How do suppose a manager improves a teams results if not by imparting his knowledge to his team? To say it’s down to the players skill why he’s not still here is way to small a view. 20 goals conceded and many more missed by the opposing side shows how futile claiming it’s the sole reason for his failure. What about if the opposition missed more of their chances? In the interview with hogan he says Bruce told him they were going to play different, he made other statements to that effect. That to me is a more plausible reason for failure than an entire team being error prone. As for player sabotage he doesn’t play anyone likely to have a grudge bar Thor. Might surprise you to know Brentford have a kicking coach, and employ tactics that put the players in the best positions known to produce goals. Most of our goals have been from quality of the players ability not teamwork generally indeed we have been criticised for lack of a playing style. Last season We conceded few by preventing teams having clear shooting chances mostly from central areas, this season that’s not happening and we are poor at defending set pieces/crosses too. Certainly better shooting helps but the main reason he was sacked no way, it’s like asking for more luck while the opponents get non, it’s siimply placing success on at the whim of fate. Let’s not forget that not scoring has afflicted most of our forwards last season too with hourihane, Albert and snodgrass getting the goals, grabban got a few but only while he played off a forward. You seem to pursue the line that I don’t understand the need for greater definition in style and coordination. To repeat – I’ve never argued with that. But I’m not going to join in an argument about the outgoing manager about whom there seems to be a profound dislike on this blog. From now the matter is closed as far as I’m concerned. The future is a different thing and one we have cause to look forward to. The only stats that matter are goals scored v goals conceded… you must be looking at the wrong stats sir. We’ll have to agree to disagree on this point…Villa have got the results they deserve because they have players in many positions that make basic errors. Apart from Chester we don’t have a competent defender and he has had a poor season. You choose not to accept what I presented, so that’s your choice. You – like many others – have your vision clouded by your demand for non-turgid football. That wasn’t what Bruce was appointed for – he was brought in to bring promotion and he might still have achieved that, though belatedly. I have no low expectations at all – merely acceptance of the fact of why Bruce was brought in. Simples. I’ve always said he was not an ideal choice but in my view we ought to have treated him with more respect. As JC stated, he made the club better than what it was before he came. Dean Smith will doubtless do a much better job still. Not really John but you do seem to dismiss its absence and the accumulative effect on the team under Bruce by putting it down to the players. Last season Adomah had an incredible shot to goal ratio that is rarely seen for example yet you seem to think every shot in a fair position should equal a goal, its not realistic. There is a stat called expected Goals, we have 15 points and our expected XG goals for and against amounts to 15.3. Brentford who have 18 points should have 20.9 based on theirs. So you could say they should be doing better and are unlucky, we are were we should be. Last season our XG had us 3rd we finished 4th so we did worse than we should of but thats no surprise. Both Wolves and Cardiff matched theirs perfectly but Fulham should have been 6th, so they over achieved considering expected goals for and against. As far as people on the site not liking Bruce? you have it all wrong, His entire time here has been up and down and poor for the quality of player/money available to him. He is judged on that not his personality. Also he may have been employed by Xia for one reason only but then why mention the “villa engine” I don’t think it follows he was expected to produce the displays he has at all. At the start of last season he was asked to reduce to 19 senior players and 5-6 youth by Xia it never happened. The Jan period last season produced an entirely unBruce set of displays too after Agnew arrived. Most of all the last few seasons have proved especially that turgid football in the champs is not required nor the best method. This season was Bruces attempt to change I think and that was likely initiated by the new owners arrival, he simply failed to implement. We have 2 high profile wingers that he said were much needed yet are nowhere near the starting 11, what system were they going to play in? Again, I was not talking about him as a personality but as a manager. As I’ve said, I’ve had enough of talking about him as we regrettably seem to go round and round in circles. Regretably, I disagree with you, period. End of subject as far as I’m concerned. 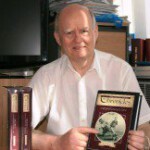 JL- well I suggest you don’t use words like dislike then to save confusion. RMC on his Villa situation, I’d have him back no problem, in fact I’m wondering what Smith will do with the loanee situation? “The most frustrating thing at Villa was the perceived view fans had of me, that certain people at the club painted. That of a mercenary who was happy sitting on the sidelines taking his wages. ‘This is the second time I’ve travelled half way round the world just to kick a ball again. It’s not about money, I just want to get back to what I’m good at. Rmc also was very complimentary about Terry and how humble he is and his effect last season, maybe he’s a big plus rather than a problem I hope so. Good football will bring the results it deserves, poor, dis-jointed football will bring the results it deserves, player quality and coaching/managing determines whether there is good football or poor football. I believe JL is correct in that we got what we paid for in SB but thankfully a decision was made and hopefully to the benefit of Villa, clearly Brentford have benefitted from Smith and his mgmt so apart from increased expectation that Smith as a Villa fan will understand, i’d expect that we’ll see a very different Villa in the coming weeks but don’t expect miracles in the first game. Dor- I hope that Dean Smith can make better use of our squad and more importantly recognise how best to use them tactically,that is the mark of a good manager, the main failing of the previous intern. No good having a style that doesn’t fit the players. Overtime he will introduce his preferred tactics no doubt but I’m not expecting Brentford style play for a while. He may try and get us pressing higher up the pitch though to relieve our defensive deficiencies. This article is interesting if its how it went down. You’ve probably not noticed that I do try to talk in context instead of going off at tangents. If you could please bear that in mind? Thanks. Byt the way – to all readers – I do not regard all football under Bruce “turgid” at all. It seems to me a completely over-used word. I do accept that the level of play could be higher but sometimes I’ve seen that we haven’t played at all badly – like between December and April last season. Jl- tagents fill out the picture, cheer up. Brentford have played 4231 this season who’s gonna play then ? JL- well there you go, we were tripe in December and played well Jan-feb in my eyes after that we struggled to the season end. I was not trying to be 100% in the months. If you want to be completely pedantic, these are the matches in the period I’me referring to. JL- From my recollection John we lost Adomah and Jack Going into the Fulham game which we lost and that changed our side a lot, adomah never really recovered (stopped scoring)and Bruce changed tactics reverting back to Jedinak/Wheelan at DM and eventually dropping Hogan and put Grabban on his own up top. Once we played Wolves and got that surprise result we faded pretty badly I thought, But the run of games from the Brum game to the wolves were not to impressive despite getting results. We were 2nd at that point were we not? Even the 3-0 against Sunderland away we didn’t look as good,we also went behind twice at Sheff wed’s. Dean Smith talking some sense in his 1st interview and I’m surprised to find out he already Knows JT through JT’s brother? looks like he’s dead happy having him there. JL- No I just see it for what it was John performance wise from my point of view, I’m not going to pretend otherwise. No, Mark, you’re just anti-Bruce and don’t want to give any credit to him whatsoever. 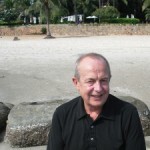 JL- In your own word John “rubbish” now it ends. This really is getting wearying on here about Steve Bruce, yes his remit was to gain promotion back to the Premiership, and he failed, because his shot went the wrong side of the post…He fluffed an easy chance, missed a penalty…..whatever, he failed…his team let him down….it was his team…he picked them… RDM…failed in 11 matches and was sacked…but had the same remit…. Dean Smith has just been appointed, and guess what…..His remit is to gain promotion this season..!!! That is what he has said….We must win match by match, but the ultimate aim is to win promotion….So can we just forget about the nearly man, and move on to a person who knows his remit, knows the club, knows the fans, and more importantly, knows his management team, including John Terry, as he has been coaching his brother for the last three years, and has been much involved with JT. He also has some knowledge of the team. Love his humour too, as he remains undefeated at Villa Park…and wants it to remain that way. PP- He was very refreshing mate and Purslow very Bullish about the FFP situation in that we are all clear, to top that there are funds for Jan if needed apparently. Oh and he calls himself Head Coach, a very important distinction with Villa’s new set up. Just listening to MOMs podcast and there was a mention of an altercation between Elphick and Bruce after the Burton match and hence he got shipped out. Bruce fell out with too many players important to us. IanG- certainly looks that way, his reaction to criticism in the press and by fans says he doesn’t take it it to well, my way or the highway. Smith has an open door policy which is good to hear, get the feeling he’ll face things with a touch of humour. what do think Of Smiths first presser? Dean’s first press conference was excellent. Down to earth, honest and gave a lot of hope for the future, and I am glad he got the job, and think he, JT and Richard will make an excellent team. PP- me too, hope it gets off to a good start, 3 games in 6 days? tough ask when you don’t know your players and want to play high tempo, still might be a good chance to give a few a game. He also favoured 2 DM’s at Brentford in a 4231 but they act as playmakers not extra defenders just as the top teams do, wonder who’s gonna play there? need two technically proficient players, Would suit Doyle hayes and maybe Lansbury, Thor maybe? could easily end up McGinn and thor with Adomah jack and Hourihane behind Tammy. Hoping Bree gets a game but likely elmo and Hutton with TuenZabe and ? Bedeau looking good this season. How the sporting director will impact the coaching team is what’s making me curious, as that seems the main indicator of how big a wave it will be, as it were. Paul ‘This really is getting wearying on here about Steve Bruce’ – hear hear. Can we now move on and comment on the new set up. I have no problems about people not agreeing with me but if I never shut up about it I would be divorced by now. I see Dean Smith has commented on ‘scare stories’ that John Terry is not a disrupting influence and that they are quite happy to work together. Well we will see. I’m biting my tongue now!! Agreed, time to embrace the new era, owners, ceo, sporting director, manager, assistants – all change at the top, now onwards to the pitch and given the difference between the previous incumbent and Smith in how their teams have played football, i’m hugely excited like JG to see how this transpires. I’ve a new found optimism that the club is finally going in the right direction, not expecting miracles but progressive football would be great but it does absolutely need the fans with bums on seats to drive the club forward in terms of support even when it’s not going our way. Not blind faith but save the complaints for the walk home. No complaints from me chaps I’m sure in time I’ll be lambasted for sticking by Smith like I was Remi Garde. All the ingredients look finally here to progress into the football world of the 2000’s at last. Clive I’m optimistic about the Jt situation I think he knows he’s limited coaching wise hasn’t even got badges yet and Smith has stated it’s his job to turn him into a coach and manager. Jt’s no shirker and uses all the latest info to prolong his playing career should be good. Remi Garde was a good manager, who just came over at the wrong time, and got kinda kicked in the teeth. I think everyone should stick by Smith. We’re all fans and want Smith to do well. We all hope his players can execute his attacking style effectively. It’s early days, wish I could be at VP for the Swansea game. agree about smith mark. you wont be lambasted at all, think we are all behind him and want to give him time to build. But remi gardei! dear god he was awful. 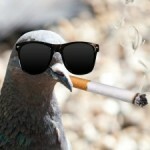 About as inspirational as my dead budgie. Iana yes mate I think we all want to be there, gonna be a bugger to get a ticket soon. Andrew- I think Smith is under no illusions but at the same time is talking about giving the club a philosophy/style, I really think thats why he’s here, I wanted the same from Garde but your right he was to nice a man in a team full of armholes. Shame they were not prepared to listen and learn then, If our players are not then they won’t be here long I think. The new boss stuck to his footballing principles at former clubs Brentford and Walsall – and plans to do the same at Villa Park. Smith knows that results about more important as Villa currently sit 15th in the Championship after failing to see off nine of the 12 teams they’ve faced this year. But a long-term plan and identity is still essential, the manager believes. “I’ve been a supporter and you want to be entertained and watching players who will work hard for the shirt,” he said. “That’s what we want to bring to the football club. “We want to develop an Aston Villa way, lots of clubs have philosophies that change from manager to manager and I feel that this is an opportunity now to develop an Aston Villa way, with the staff we’ve brought in, starting with myself, Jesus Pitarch, Christian Purslow and the backroom staff Richard and John. “It’s important for any club to have a philosophy and recruit head coaches and players for that system. “It certainly won’t happen overnight, but very quickly we can give players ideas and how we want to do moving forward. Andrew- I wouldn’t write off Remi either, sometimes it takes time, the man never even got a Transfer window. “‘I was speaking to Ezri (Konsa) and he said Dean is a great manager, likes to play football, and that’s exactly what Aston Villa need,’ said the 21-year-old, who has scored three times this season. ‘We have a great team, we just need that confidence and style of play back which I thought we were lacking a bit. You seemingly misunderstood what I wrote. Coaching is a given & a recipient of what I was talking about, & as that is a major part, as the wave. I was referring to the remit to create & strengthen the football culture at the club so it all becomes one thing, yes, but most importantly I was talking about how the different aspects of the football director’s remit can possibly fuel the wave that is our coaches will bring [hopefully]. Especially in the effects of transfers, which will be the responsibility of the new sporting director. He did a very good job at AC Madrid in this regard, which was a major reason they were so successful. How successful we will be in the longer term is very much bound up with his role, & strengthens the coaching team to a marked degree if successful. Right now they need coaching, but how big the wave will be, will also be down to his contribution [if it works out] as he is an integral part of the team, & also the conduit to the board. This is the 2 assistant coach’s AVTV interview. IanG- no mate I totally agree, Its not all about Smith (long term)but he is used to working under such conditions, Henri? I’m relieved to be honest. One thing I picked up on was Purslow couldn’t say enough about Dean Smiths philosophy and I believe that will be the basis of the Villa way, the DOF will have to find players to suit that, I’d be surprised if he influences that side to much at this point, did he do that at other clubs? The quality and ability of the DOF can be massive for us though, thats why I wanted Remi to stay as he knew that role inside out, might of taught the hierarchy a thing or two or suggested someone, Round stayed within his comfort Zone or bowed to the Docs ambition. I am very pleased that we have finally taken this direction at last I hope he works out. Just watched JT and Richard Okelly on youtube, O’kelly says the players are very skillful and fit and know what to do, its the when to do it that needs to be worked on, that I whole heartedly agree on, if jack takes it on board and learns skys the limit for him. JT sounds on board, should be a good staff…Will move on to looking forward tomorrow. Okay. Finally got a new one up.